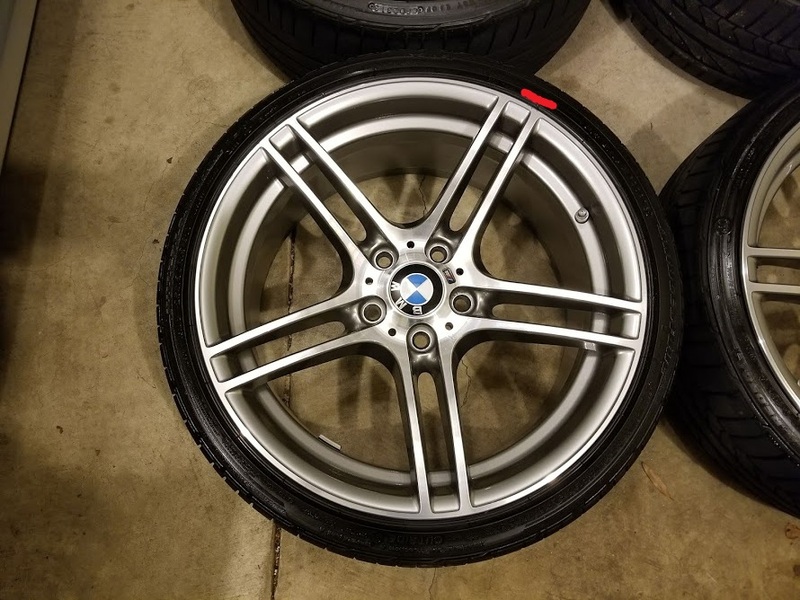 Up for sale is a set of 19" Style 313 wheels. These are genuine BMW and original equipment for the 335is. 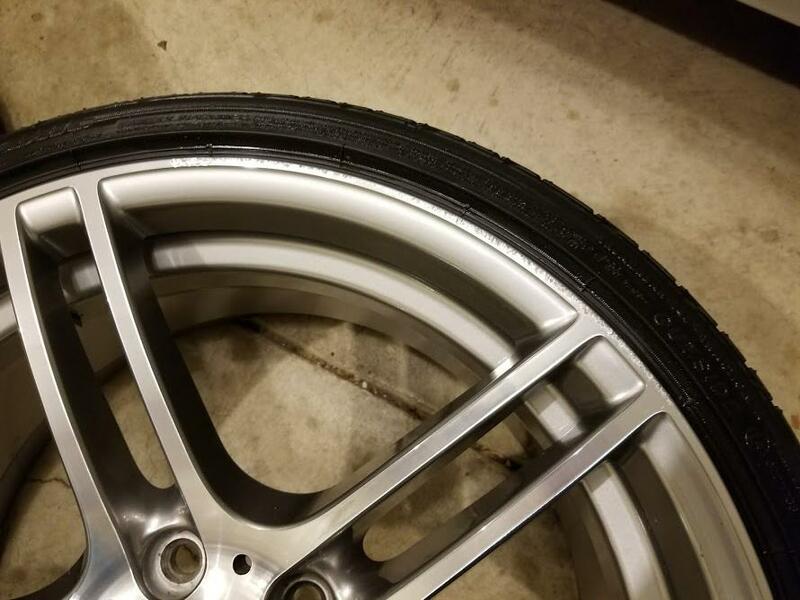 The wheels are in good used condition. 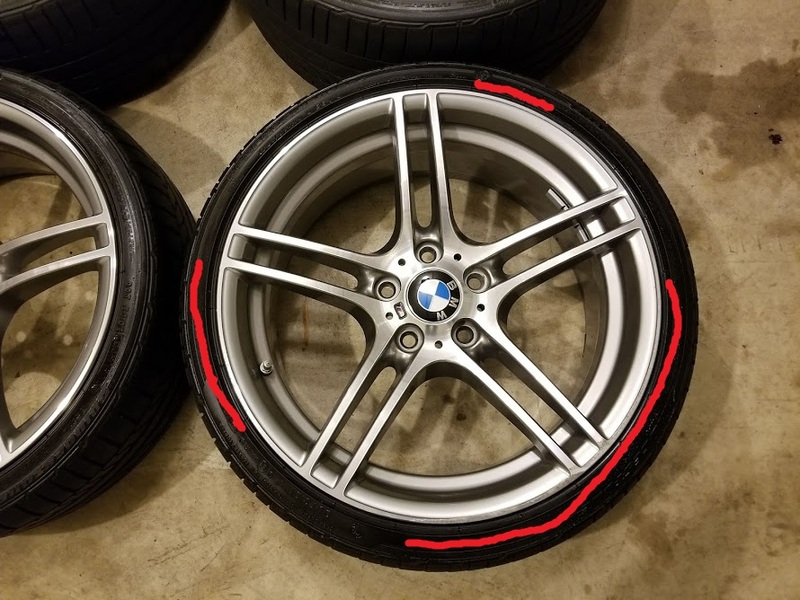 3 of the wheels have some potentially repairable curb rash. No cracks or bends that I could see. 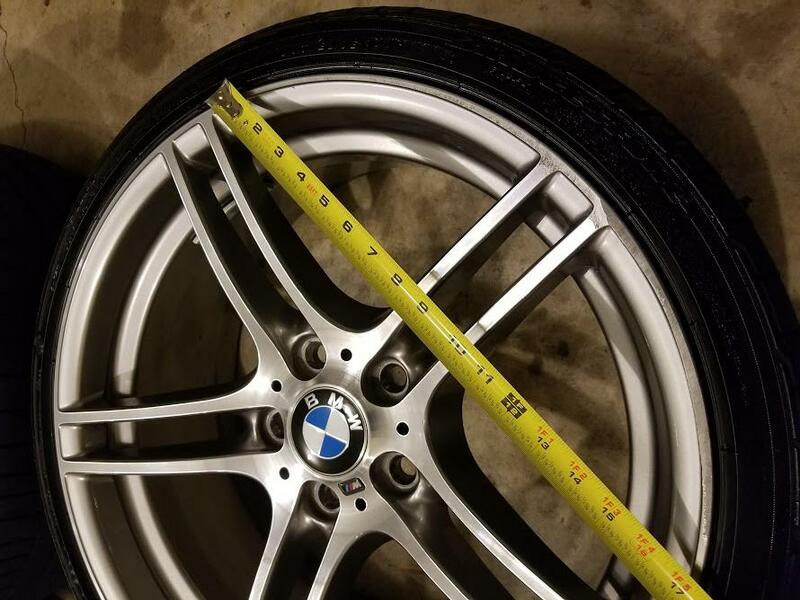 All 4 wheels roll straight with no vibration when mounted to a car. Cosmetically, I cleaned them up as best as I could, but there are also a few tiny chunks of asphalt here and there. 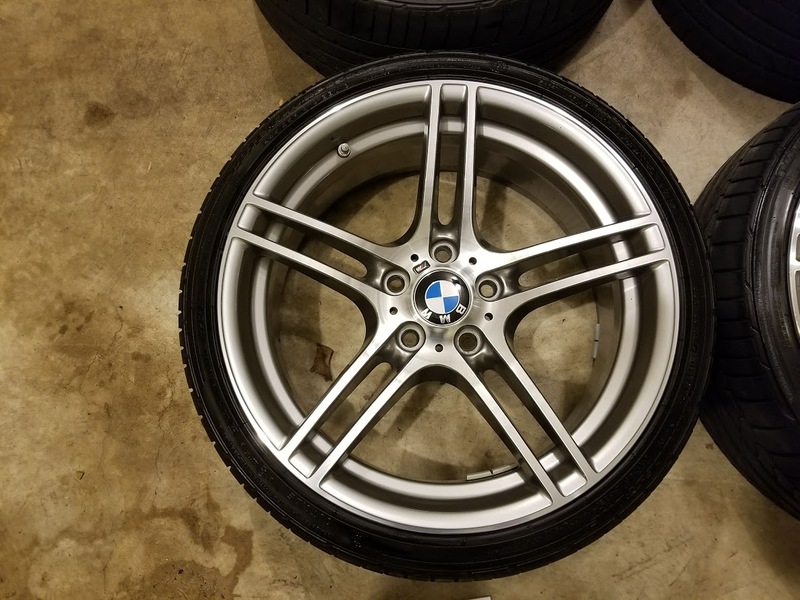 All wheels are complete with BMW center caps, the //M emblem and valve stem caps. 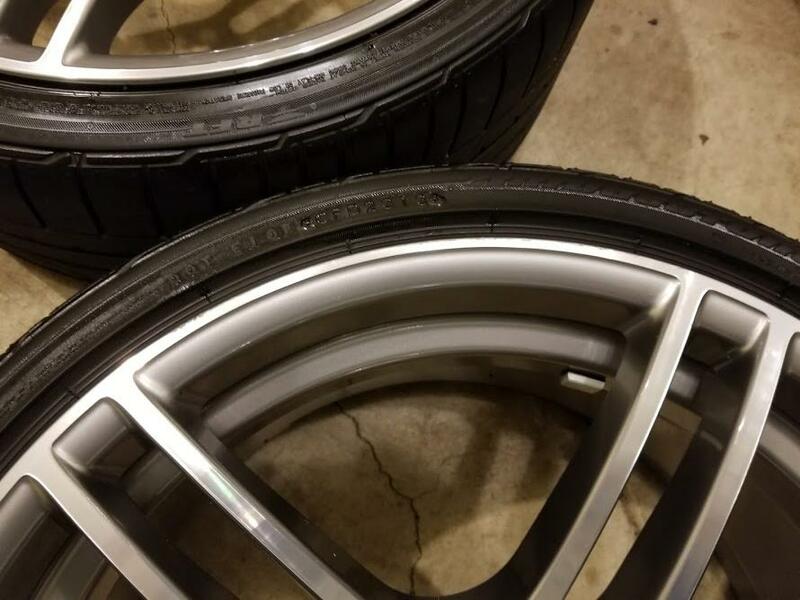 Tires are OEM Bridgestone Potenza RFTs. Fronts have some decent tread left, rears are due for replacement soon. All tires have 2013 date codes. 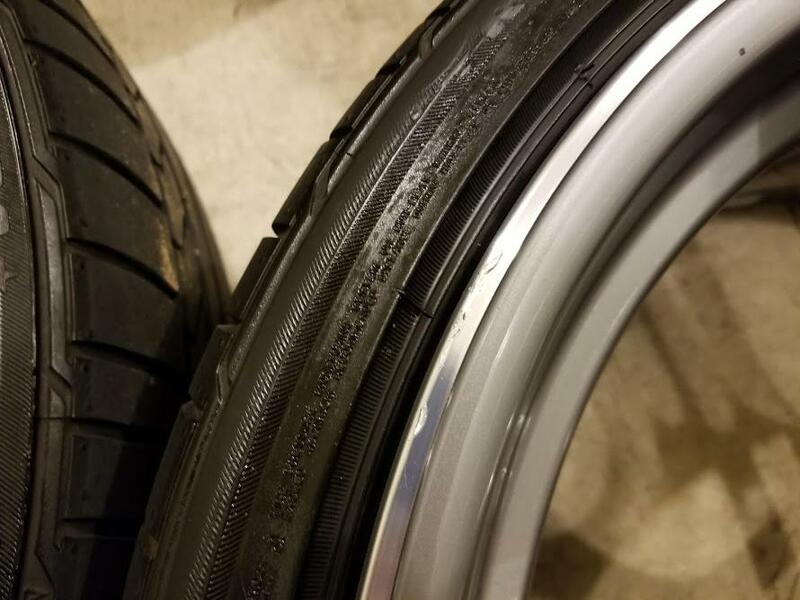 - A little less than 9/32" of tread remaining on the tire. I measured about 7 mm. 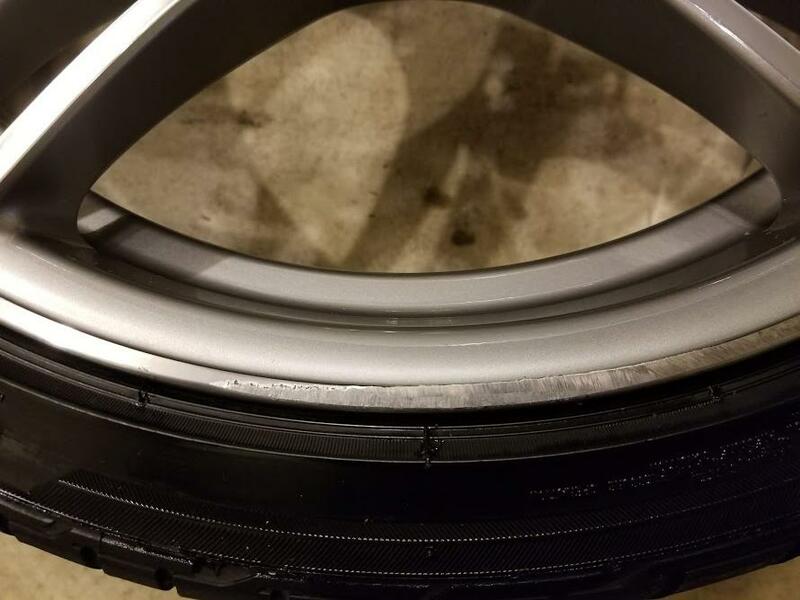 - There is a long, but very shallow and flat section of curb rash on one side. 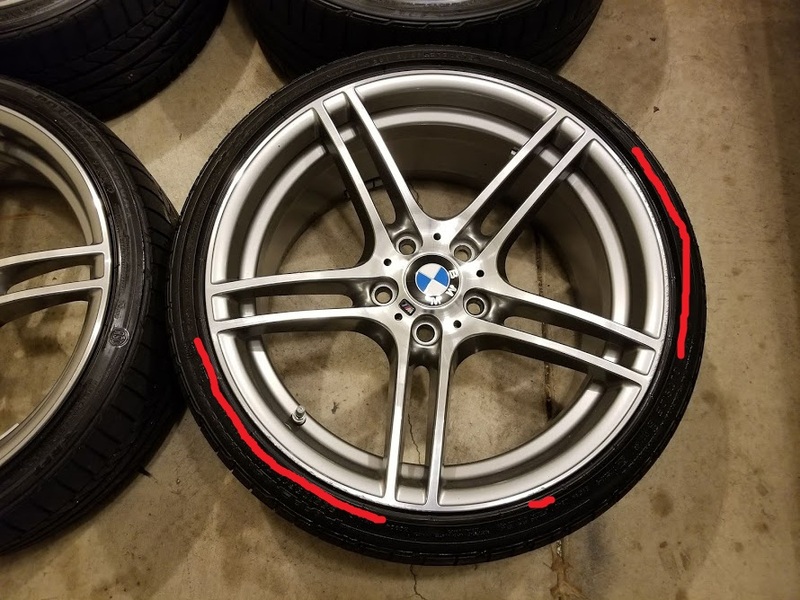 Circled in the pictures are approximately where is starts and ends. 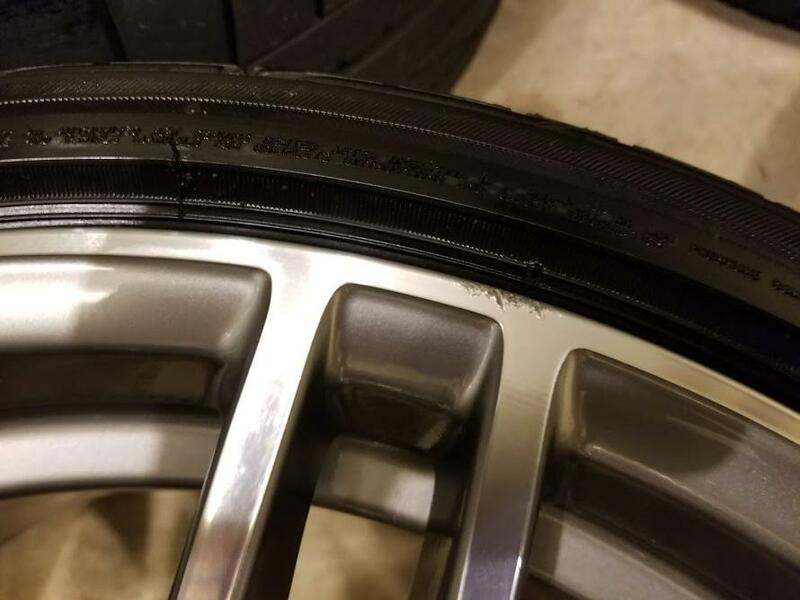 - There is a shorter, but more jagged section of curb rash on the other side. 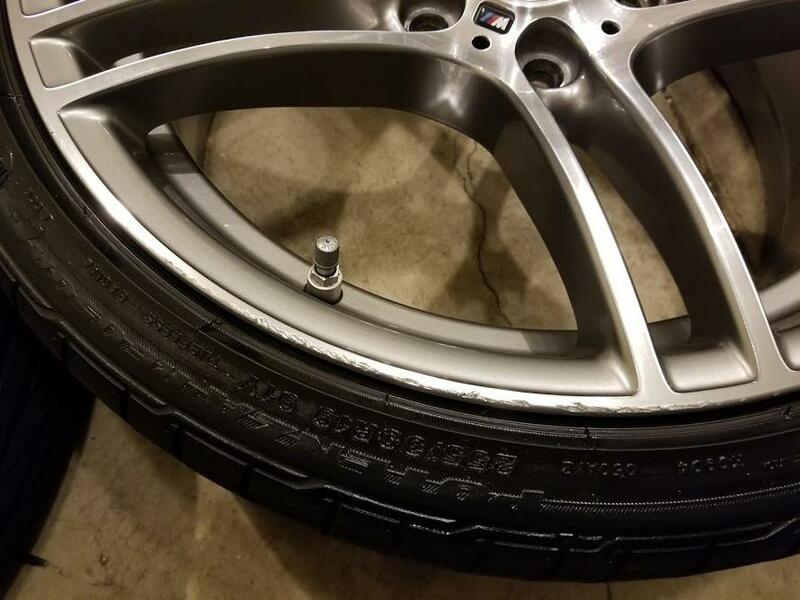 - A little more than 9/32" of tread remaining on the tire. I measured about 7.25 mm. 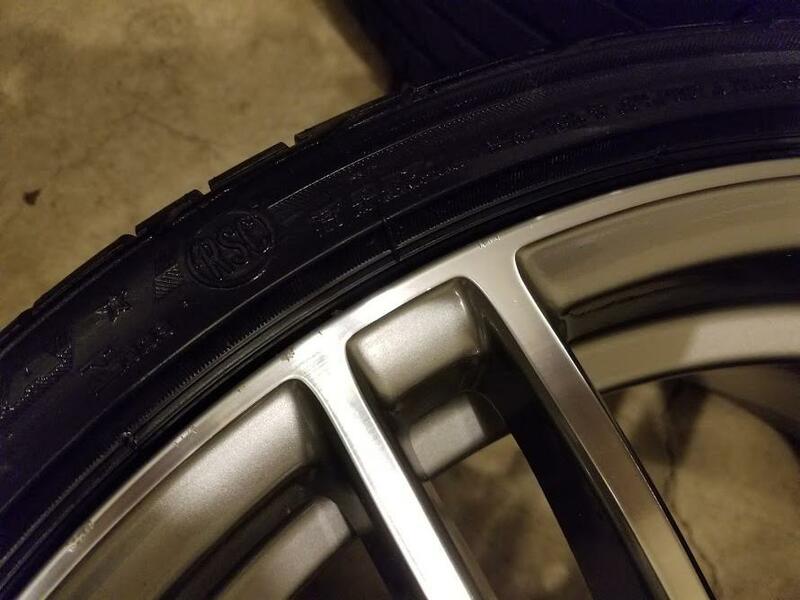 - There is a longer section of curb rash, then a shorter section of curb rash. Both are somewhat jagged. - A little more than 5/32" of tread left. 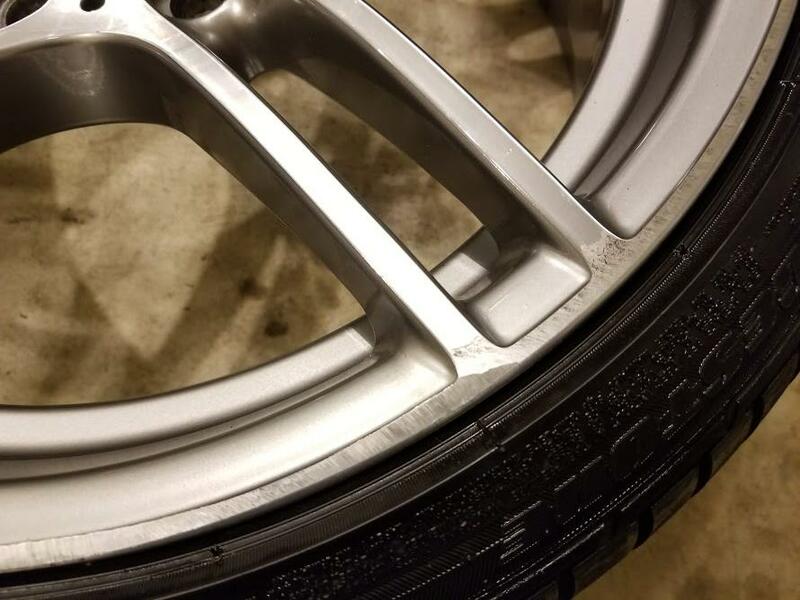 - Almost free of curb rash, except for one small spot, and a few tiny nicks. - Right at 5/32" of tread left. 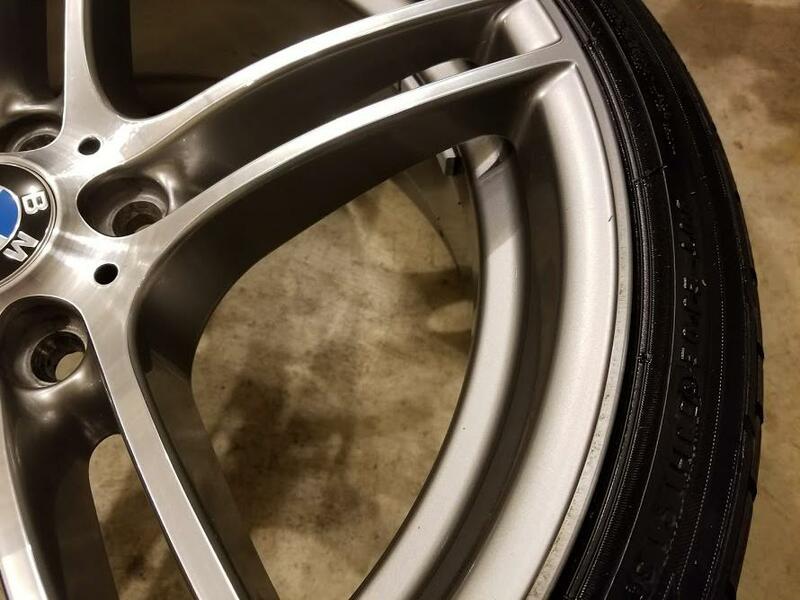 I tried to be as through and clear as possible with my description of these wheels, but some other minor cosmetic defects may be possible. Asking $1000 + shipping for the set. 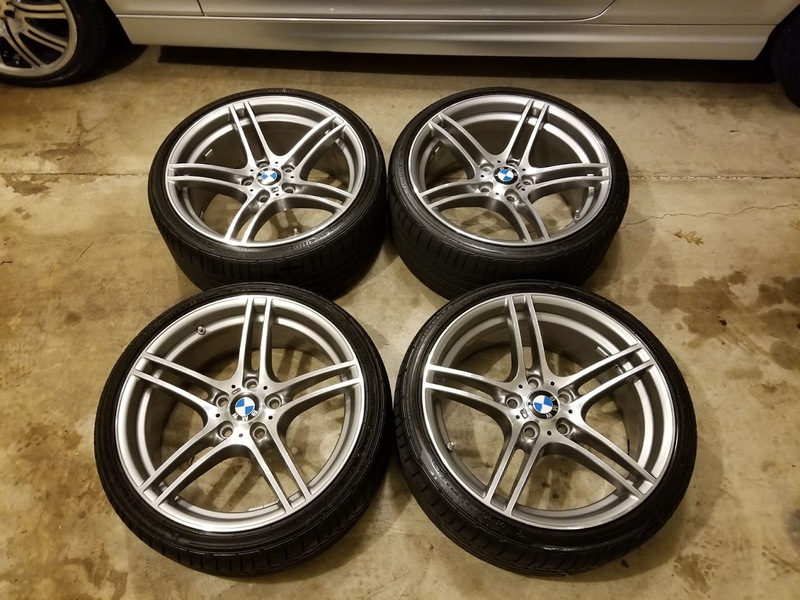 New, the wheels retail for about $650 each. I can cover the face of each wheel with cardboard and saran wrap each one for shipping. Uship may be another (cheaper) option depending on location, but arranging this will fall on the buyer. Local pickup in Fairfax, VA is also welcomed. Payment via cash on pickup, or PayPal only. I am selling a number of E9X parts. Please see my listings for some grey European interior pieces. I will have a pair of ECS 12.5 mm spacers and another 10 mm pair for sale too. willing to ship to 33431? Willing to ship 33180? If yes how much the shipping? Are these still available? I sent you a PM. The wheels are not sold yet, but I am not at home to sell them at the moment. My apologies for neglecting this thread for the last couple weeks. I am willing to ship, but locals have priority. I will return home around mid-March and will have the wheels ready for sale then. Once I am at home, I will reach out to members in the order they inquired. If you PM'ed me and did not receive a response, please send me another PM. Bump! Back up for sale. Reaching out to the people above, locals have priority. Thanks!